I saw Gatsby today, and it was great. That’s what you hope for, greatness, in the same way young Jay Gatsby hoped for a future full of mansions, money and Daisy. I was a fan of the ’74 Gatsby starring Robert Redford (The Natural). In my view, Lurhrumann did not stray far from Francis Ford Coppala’s (The Godfather) script, but where he did, they were all improvements. Sorry, Francis, but case in point. When Gatsby (Leonardo DiCaprio of Titantic) meets Daisy (Carey Mulligan from An Education) for the first time in five years, he is so nervous he knocks a clock off the mantle. This fourth dimension visual metaphor was subtle and stunning. Here is Gatsby, who by this point we know makes no wrong moves. Dashing, classy and smooth to perfection, he is reduced to stumbling and bumbling by Daisy, as she and time are his only masters. By the way, there is a plot that I don’t assume everyone knows. It’s boy meets girl, loses girl and tries to get her back. Of course, she is married now, and he figures the only way to accomplish that is amass a fortune and move in across the bay. The tricky part here is Daisy. She is truly a beautiful flower, who is used to being adored. That men want her seems natural to her, and husband Tom Buchanan (played by Joe Edgerton of Zero Dark Thirty) treats her like a prized possession. Mulligan plays Daisy perfectly as the bored, little, rich girl. Daisy is quite a puzzle, and I wanted more from her, but then I realized that’s just like every man who has met her. Reminds me of “Mud” last week, and that thing where “you can’t count on a woman to love you.” Gatsby imprinted on her right from the start, and there was no getting her out of his head. I understand this process, as it happened to me, and my Daisy now spends her time singing hiccup healing songs to our granddaughter. I can’t say it worked out that well for Jay Gatsby. I get the feeling Fitzgerald wants us to know that rich people have problems, too. I was afraid Toby McGuire (Spiderman) as Nick Carraway would ruin it for me. He would not have been my first choice. I wanted Sam Waterston (played Nick Carraway in The Great Gatsby -1974), but would have settled for Sam Shepard (Mud). In the end, we got a tentative Sam Spade, whose investigation of these people drove him mad, and he could only find sanity when he wrote it all down. Nick Carraway is not the hero, and I don’t think this movie has a hero. 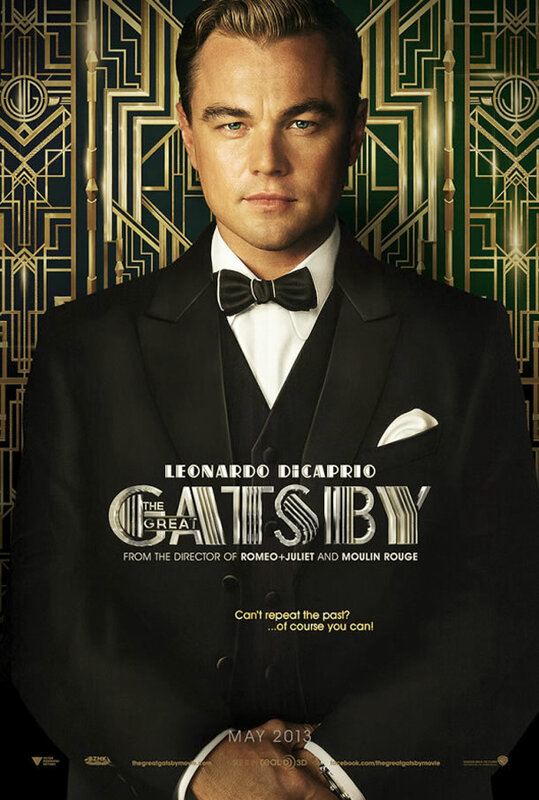 It’s not that kind of movie, but it is great movie, and I give The Great Gatsby 4 out of 5 stars.